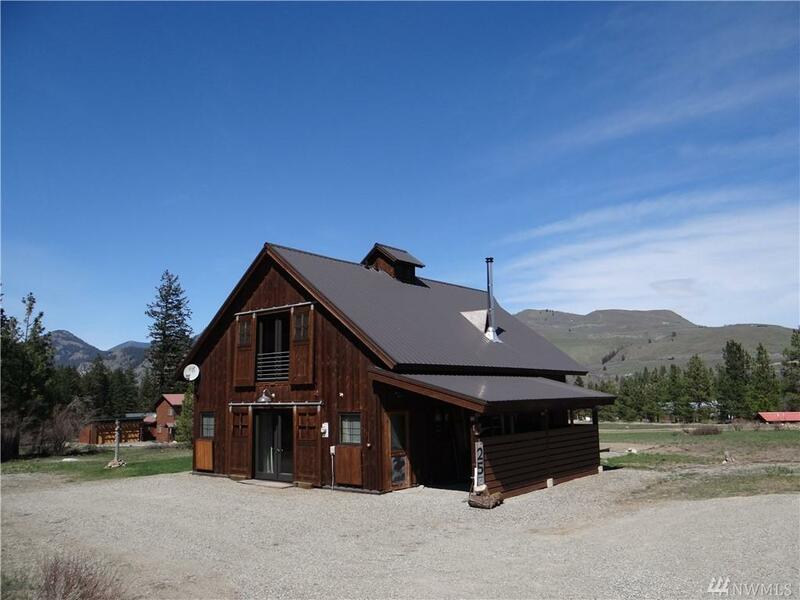 Fantastic custom cabin in Wolf Creek! Open floor great room and kitchen with S/S appliances, S/S & concrete counter tops. Clear fir cabinets with industrial touches throughout. 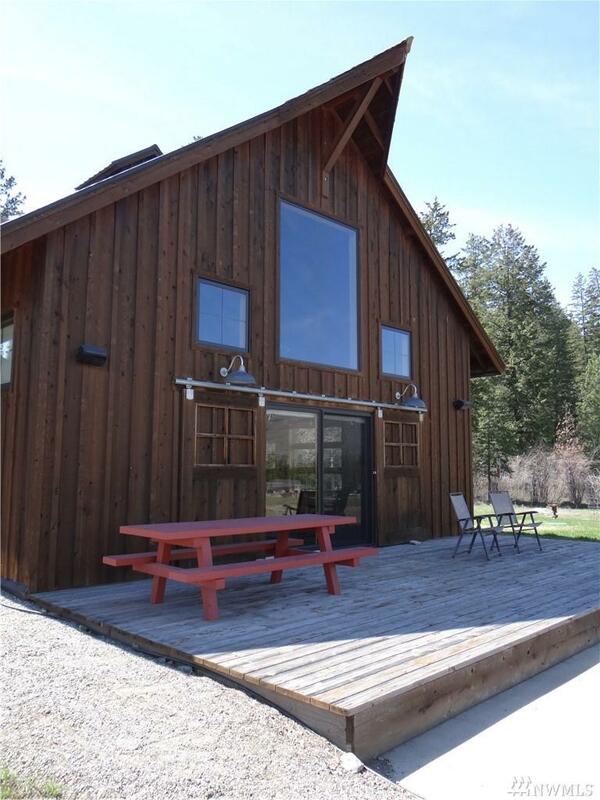 Electric radiant floors, free standing wood stove. 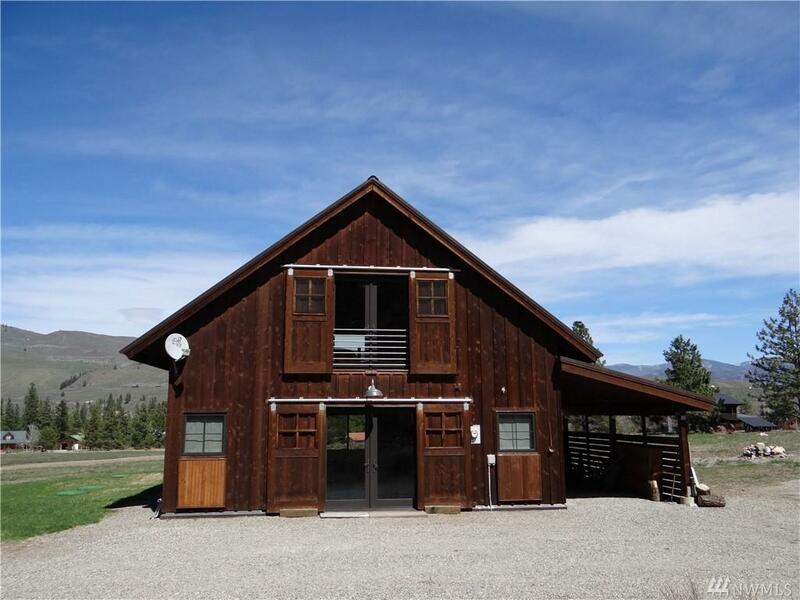 Over-sized glass doors up and downstairs, slider opens onto large deck and slate patio w/fire pit. Ample storage. Attached single carport. Small wood shed. 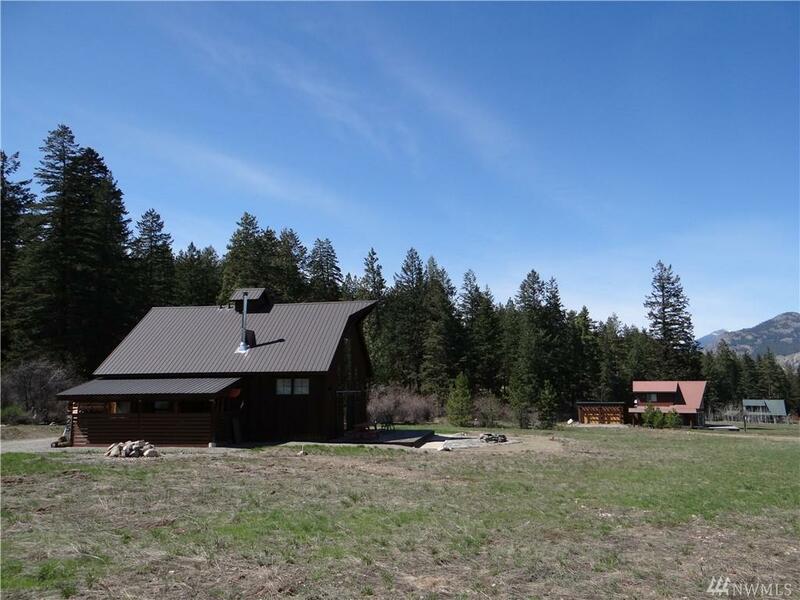 Large corner lot, plenty of sunshine and mountain views. Near ski trail & recreation. Seasonal Irrigation ditch. The listing data relating to real estate for sale on this web site comes in part from the Northwest Multiple Listing Service. Real estate listings held by brokerage firms other than Kimberly Gartland Group - Keller Williams Realty are marked by the "three tree" symbol; detailed information about such listings includes the names of the listing brokers. Data last updated 2019-04-23T17:17:00.46.